Join us for an evening of medicine and plant magic in the Northeast Queendom led by Marielle Fisher, local herbalist and plant medicine person. Basking in the lingering rays of the full moon, let's call to our green elders. We'll treat our bodies to deep relaxation, supported by, and in connection with, the plants. What wisdom do they have to share at this potent thyme? You'll be invited to use herbal infused oils for self massage before we journey in with a plant ally. Listening deeply, we will learn from the plants themselves. With a rainbow of local herbs to chose from, we'll have the opportunity to invite plant spirits deeper in to areas of our bodies needing extra support as well. May we gather and remember how plants help us fully embody our own magic. Please bring a journal, and an item to add to the evenings altar. Space limited so please register to hold your spot. This gathering is full, if an opening occurs we will reopen registration. For many women, their moon cycle can feel like a curse, but it can actually be a great source of empowerment. How can we gain better insight to harness the forces at play during the lunar phases? Tina will weave the elements of myth, meditation, mantra, movement, and Ayurveda to shed some light on feminine untapped potential. We will discuss charting your cycles, which will set you on a course of self study for a lifetime to come. This is open to and relevant for women of all ages. Lunar Phase map will be provided. You are now signed up for this course! This is a full day course typically from 10am - 4pm. This course overviews the history of Reiki and its origins, Reiki principles and precepts. Also covering, level 2 Reiki meditations the Reiki level 2 symbols, hands on healing and intention, ethics of practice when working on others, practitioner information and business/marketing tools, Reiki attunements and many additional topics covered. We will discuss and practice our intuition, receiving information while working on others as well as managing a healthy barrier for empaths. Lunch, snacks, tea, and lemon water are included in the cost as well as a full binder with all materials, notebook paper for note taking, and a printed certificate once complete. Enjoy this time with me in our sacred space and feel free to wander the gardens and the land as we are surrounded by fields, evergreen forests and sugar woods. Dreamtime is a place full of wonder, beauty and curiosity within the delicate strands in the weaving of spirit and interconnectedness. Join me in covering the basic understanding of dreamwork through to the communication, visitations, and visions in dreams. Visions can be when you pick up on left energy that still remains in a space or in a persons energetic field. A vision can also be what some call "daydreaming" when in fact some of these day dreams are visions assisting you with current situations and/or foresight for what is to come. This workshop is a safe, mystical, and creative time for us to delve deep into the meaning of our dreams and how to practice deepening your own dreamwork. We will discuss levels/stages of sleep, the basic science of dreaming, what can influence your dreams in your daily life, your intuitive dreams and seeing the difference between subconscious conversation and foresight. Visitors from the spirit world, visitors from the living world, communication through dreams, and our deep connection to each other in the realm of dream time. Also how we can deepen our sleep with mediations, relaxing music, crystals and other methods. You will leave this course with some newfound methods to practice deepening your dreamwork and how to deconstruct the meaning of your dreams along with many resources to support further understanding of dreamwork. A journal and coloring tools will be provided, bring what you might like to add. Suggested donation $25 per person. Each attendee will receive a printed booklet to take home with all course materials enclosed. You are now registered for this course! You know the feeling of carrying around a suitcase that is getting heavier and heavier; you ask yourself is there an end in sight? We tend to carry emotions like fear and anxiety in the same manner as that suitcase. Entwined in our being. Learn how to release this emotion from your body and feel what it is like to be free to invite love and light in. Discuss what it is like to really listen. Explore what resonates in your energetic field that is not meant for you to hold onto as Lisa-Anne guides and holds space with Reiki. Meet your highest essence through a light filled guided journey. As your connection with your highest essence strengthens you will learn how to release anxiety and/or fear. Wear comfortable clothing, bring pillows, blanket, yoga mat, eye pillow or scarf, and your journal. Cost $30. Sliding scale available. This worksop is full. Thank you to all who registered! This workshop is geared towards healers, bodyworkers, intuitives and highly sensitive folks. The kind of people who can feel the subtle energies of others as well as shifts in the collective. People who feel emotional waves that don't always make sense and even physical pain - dreamers who dream lucidly about happenings near or far and folks who need a multitude of tools at all times just to feel safe and at ease. Is it a struggle for you to just go grocery shopping or gather in a larger group of friends or attend events? Afterwords do you feel completely drained and need a few days to recharge? It is important to understand that the Highly Sensitive Person is a reality and a struggle. Most folks do not realize that they are suffering from this very thing and others are not aware that their partners, children or friends are suffering with this as well. Dr. Elaine N. Aron, Ph.D coined the term The Highly Sensitive Person in her national best selling book published in 1996. Together in an open, safe and supportive discussion we will talk about all of these issues and why they may occur, methods for adults and children, the shamanic and/or spiritual history behind this type of struggle and practices to support you - we will go over a list of tools for daily practice such as herbs, smoke medicines, minerals, visualizations, flower essences, meditations, quick and easy daily practices and a list of amazing resources for further information and support. Refreshments will be served. Suggested donation $30 - includes a pink yarrow flower essence to take home. This is a full day course typically from 10am - 4pm. 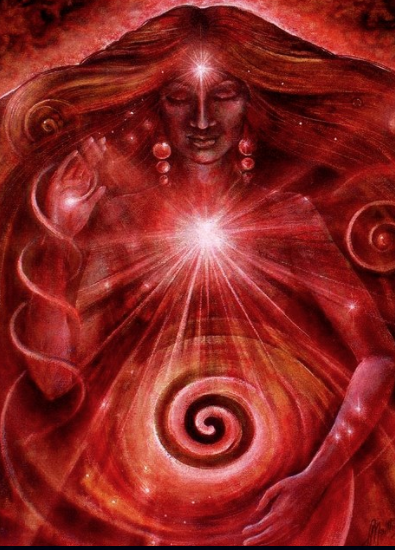 This course covers the history of Reiki and its origins, Reiki meditations, Reiki principles and precepts, hands on healing and intention, ethics of practice when working on others, and attunements into the Reiki energy and full overview of the Chakra system and the energetic body. Magnification of our inner perception. Growing self-confidence and trust in life as a benevolent force. More compassion towards everyone and everything, including yourself. Growing responsibility for your own life and being. Assisting in resolving old problems and patterns. Lunch, snacks, tea, and lemon water are included in the cost as well as a full binder with all materials, notebook paper for note taking, starter self-care materials, introduction to herbal body oiling, smoke medicine for self-care, a Self-Heal Flower Essence, and a printed certificate once complete. Enjoy this time with me in our sacred space and feel free to wander the gardens and the land as we are surrounded by fields, evergreen forests and sugar woods. Space limited to 5 attendees. In this basket-weaving intensive, everyone will make and leave with their own herb gathering basket. Please join community herbalist and aromatherapist Ilana Sobo for a hands on Introductory class on aromatherapy where you will learn how to work with essential oils safely and joyously. In this class, you will learn about the history of essential oils, essential oil safety, how essential oils are produced, what high quality oils smell like, how aromatics affect our being and common methods of use for healing and personal use. Aromatherapy is a fully holistic healing modality. Working with essential oils can enhance one's life in profound ways even though methods of application can be simple. Aromatherapy can be regularly used for emotional balance, immune support, relaxation, peaceful sleep, stress relief, pain management, luxurious skin care and so much more. This is a 3 1/2 hour class and cost is $70 per person. Each participant will take home an essential oil roll on included in the cost of the workshop. Ilana will be bringing along cost effective essential oils that can be purchased for use. Please be sure to bring extra cash in case you would like one. Space is limited to 12 attendees. Cost for the workshop is $25, includes up to two essences to take home and refreshments from the gardens. Please bring what you need for note taking. Covering the basic understanding of dreamwork through to the communication, visitations, and visions in dreams. Suggested donation $25 per person. All donations will go towards building our new composting bathroom house, that will attach to the yurt for better access to bathrooms. Donation jar will be in the Yurt on the day of the workshop. With Rebecca Beidler from Peace of Earth Farm. The Japanese concept of Shinrinyoku or Forest Bathing promotes the health benefits of spending time in nature (especially a forested setting) just being present, slowing down, and observing natural surroundings with all of our senses. Rebecca will guide us on a forest walk involving slow, quiet walking with the invitation to focus on a particular sense or activity (for example- notice what is moving, observe the light and darkness, spend time touching trees/moss/water...). After each invitation the group will come together and share observations before moving onto a new sense. This guided walk ends by sharing a cup of tea made from some representative plants from the area. Additional refreshments will be served in the Yurt. Please dress appropriate for weather conditions. Cost for this workshop is $10 per person. With Diana Hansen and Lisa-Anne Loucka from Sweet Harmony Healing Arts. This particular course is a special one as it will be overseen by Lisa-Anne Loucka for the purpose of Diana's final Reiki Master/Teacher Certification. This will be a wonderful opportunity to receive a Level 1 Reiki Certification under the guidance of two very special Reiki Masters. This course covers the history of Reiki and its origins, Reiki meditations, Reiki principles and precepts, hands on healing and intention, ethics of practice when working on others, and attunements into the Reiki energy and full overview of the Chakra system and the energetic body. Cost is $150. Space limited to 5 attendees. This is a full day course from 10am - 4pm. This workshop generally lasts three hours and costs is $35 per person. The cost includes one 2x4 deer hide medicine bag, with medicinals, crystals and feathers from Diana's personal collection. Bring your sentimental stones or objects that you may want to add to the bag. This is an enlightening and empowering workshop that is meant to lift your spirits up and leave with a tool to carry you forward on your journey. View the workshop outline HERE. If you register before May 23rd you may choose your Bag size and color at checkout. Registration after May 23rd will get you the type of bags I have in stock, which are usually 2x4in dark tan deer hide. In this full day workshop you’ll learn useful techniques that will protect and nurture the energy field and spirit. Plants, minerals, Earth Mother, Father Sky, Power Animal retrieval are all allies that we’ll incorporate into a powerful support team that will enable participants to retain energetic integrity in this time of beautiful transition. Outdoor wear, blanket, eye cover and notebook will be necessary. How will you choose to pay for this workshop? Thank you for registereing to attend a workshop at Mountain Hollow! Spring is coming and we welcome the sunshine and warm weather. As ticks become an integral part of our outdoor adventures how can we prepare? Come and learn some ways of deterring ticks and if you do get bitten some essential oils, herbs and homeopathic remedies that are helpful to boost your immune system. Judy will talk about making kits to have so you are prepared if you notice an embedded tic or a rash, so you can start being proactive and you will already have all you need to get started. Judy will bring a few kits already made up for people to purchase. Maximum of 7 people. Cost $20. To complete registration send payment through Paypal to Flybutterflyfly87@yahoo.com or bring cash the day of. Please let us know you you will be paying for this workshop by picking an option below.